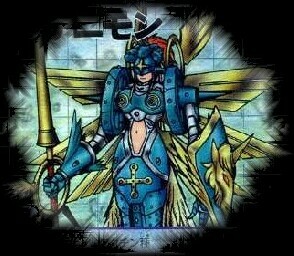 The Digital World is ruled by three great Angel Digimon. One of them, Cherubimon, turns evil and goes against the other two. 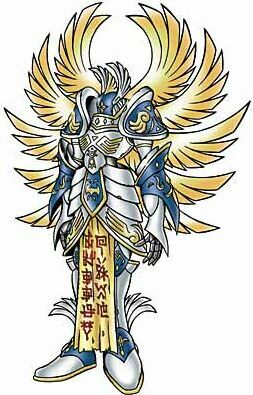 Seraphymon is a strong Mega level Digimon. He is Patamon's Mega form. He is the highest-ranked of the three. Ophanimon is another Angel. She is, apparently, one of Salamon's Mega forms, which presumably means that Salamon has two alternate Megas (with MagnaDramon). Cherubimon is supposed to protect the centre of the Digital World, but he turns evil and corrupts Kouichi's spirits. He is Lopmon's Mega form.